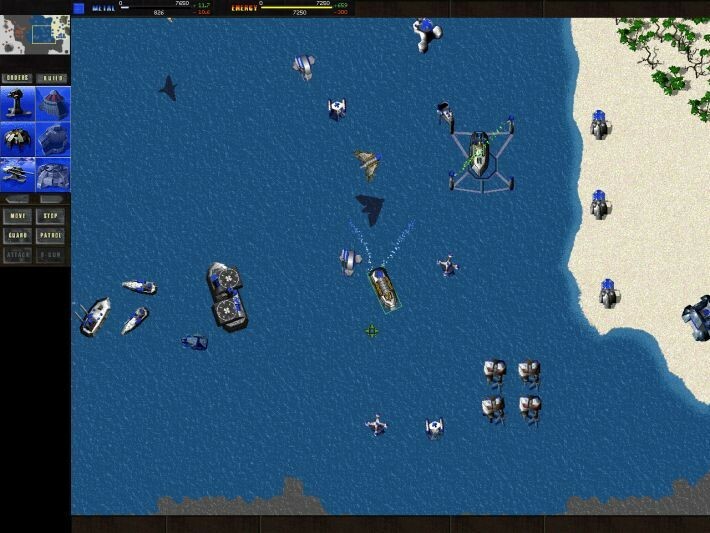 The real-time strategy (RTS) game has been a staple of the industry for decades, and is still going strong. Sure, they might not be as explosive, fast-paced, or popular as big-budget first-person shooters or fighters, but the best offer a deep, immersive experience that keeps you hooked for hours on end. How many of us have lost entire afternoons or evenings trying to conquer a seemingly-impossible map or complete one faction’s campaign so we can try it from another side? 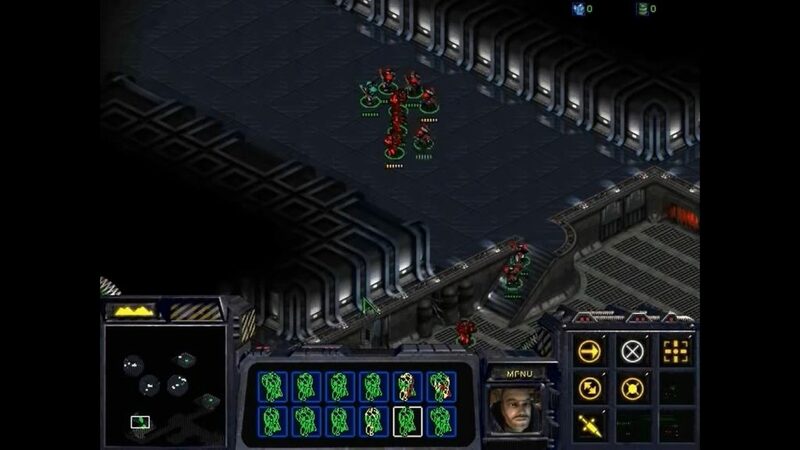 The StarCraft series has gone on to give the world of eSports one of its most popular titles, and has sold millions of copies since its release in 1998. The game made major waves in South Korea especially, with tournaments televised as public entertainment and big-money contests. StarCraft featured a solid story and three unique races that helped to make multiple playthroughs feel entirely distinctive, and only improved when its expansion pack Brood War was released. This introduced new unique units and refined AI, as well as tweaks to the level editor. Since then, StarCraft II: Wings of Liberty and subsequent expansion packs have taken the series’ gameplay further, but the original remains one of the best examples of how great the genre can be. This WWII-set RTS sees you controlling a squad of soldiers during the Allies liberation of France and the famous Normandy battle, across over 15 different maps. The level of detail in Company of Heroes is remarkable, and having your troops shout and cheer helps bring more realism to the combat, immersing you deeper in the action. Maps are often huge and making smart tactical decisions that ensure survival requires real thought. Not many war-based games make you feel a connection to your characters or make the potential loss of squad-members so tough. Company of Heroes is well worth going back to, especially if your usual RTS-gaming revolves around sci-fi or orb-busting fantasy. 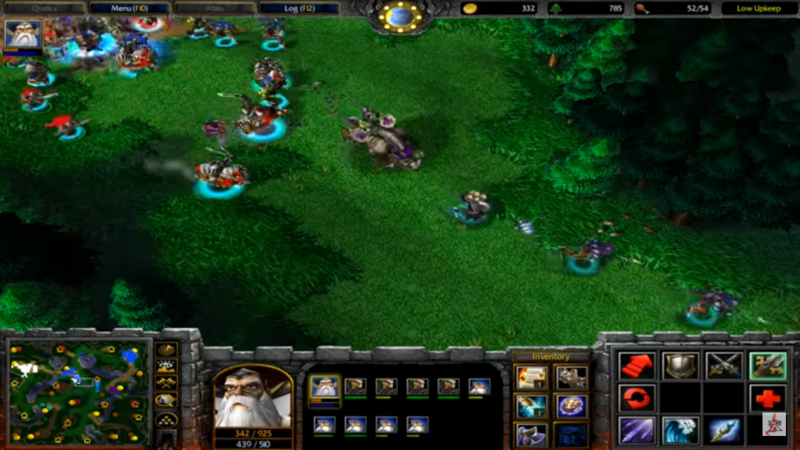 WarCraft III: Reign of Chaos made some big changes to the gameplay seen in previous games, with two new playable factions (undead and night elves) and hero characters. This is generally regarded as one of the franchise’s strong moments, and it’s not hard to see why. Blizzard Entertainment had already done a sterling job revitalising the genre with StarCraft a couple of years earlier, and Reign of Chaos continued to show how versatile their RTS-production skills were. The introduction of upgradable hero units brings some impressive RPG touches to the campaign, enabling you to make changes to their attributes throughout the game and exploiting their special abilities. The multiplayer mode was one of the most popular elements, allowing up to four players to compete online, and the editor empowered gamers to create their own levels for multiplayer battles. Reign of Chaos went on to sell over a million copies in its first month. 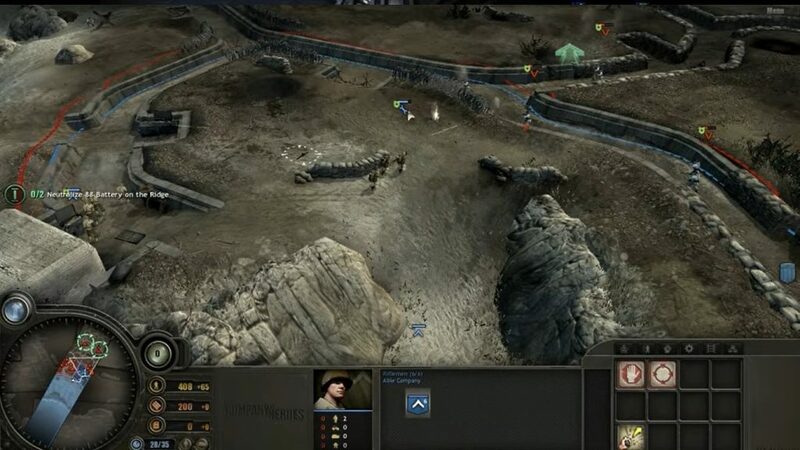 Total Annihilation is well-known as the first RTS game to include 3D units and environments, with the latter affecting units’ range of sight or fire. The far-future setting allowed for larger-than-life sci-fi touches, steeping you deep into a world of technology-driven warfare no fan of science-fiction could resist. This was one of the first titles in the RTS genre to boast a radar, allowing you to keep track of approaching enemies even if the fog of war kept them otherwise invisible. This went on to become common, but was still pretty fresh at the time. Another innovation of Total Annihilation’s was the scale of on-screen armies, allowing for hundreds (and subsequently thousands) of units per side. This led to massive battles on an unprecedented level, with such diverse units as ships, hovercrafts, infantry bots, and giant mechs. The base game’s campaigns offered plenty of missions, but even more came in the subsequent expansion packs, with Battle Tactics alone featuring 100 new ones. 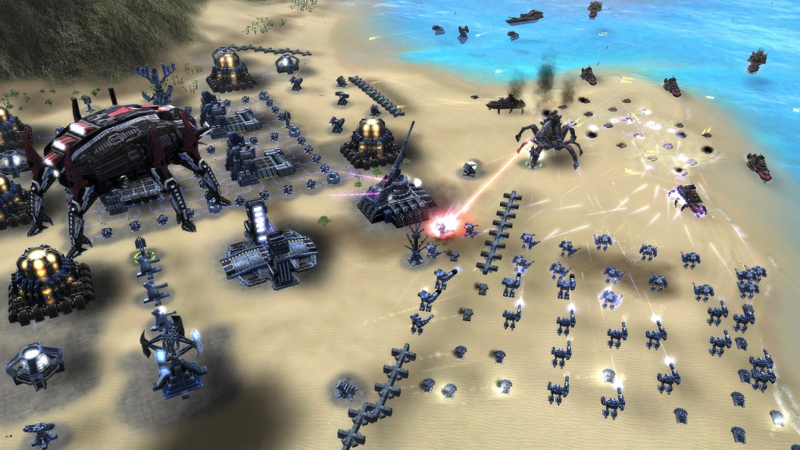 Supreme Commander was helmed by Total Annihilation’s designer, and is considered a spiritual sequel. As a result, it featured huge battles packed with sci-fi touches like the previous game, and was as much a delight for sci-fi fans. You control units across three factions, choosing from the Cybran Nation, the Aeon Illuminate, and the United Earth Federation. The strategic zoom feature remains one of Supreme Commander’s most distinctive features, allowing you to view the battlefield at vastly different levels, going from a highly-detailed close up of any one unit on the field to a panoramic layout of the whole map. The free-moving camera presented a customisable view of the action as it unfolded, which works beautifully considering how ‘to scale’ the units are, with larger ones absolutely dwarfing smaller ones in a realistic way. The game was designed to cut down on the amount micromanagement demanded of players, making the combat and tactics the core focus, and allowed for more comprehensive control of large groups of units. There’s a solid variety of ways to complete goals too, and the overall scale of battles is satisfyingly epic at times. Real-time strategy remains one of the most immersive, challenging genres in the world of video games. We look at 5 classic RTS games you should play again, but there are plenty of others out there – which are your favourites?